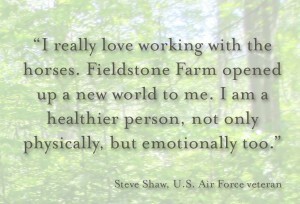 Military service can have lasting emotional effects. 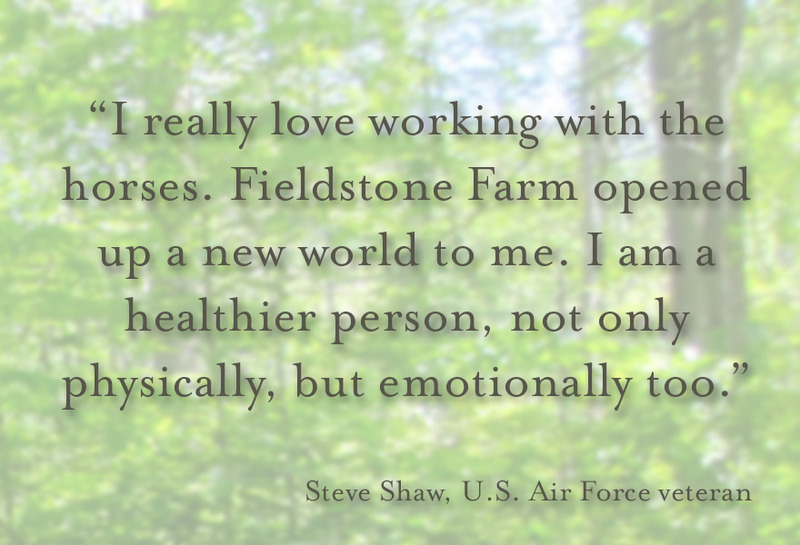 In partnership with the Veterans Administration, Fieldstone Farm developed a program where the veterans could interact with our horses to help them come to terms with their feelings as well as help them gain physical strength. The program has helped scores of veterans cope with re-entry into society and the emotional scars of war and for many it has had success beyond what they could achieve in a traditional office setting. 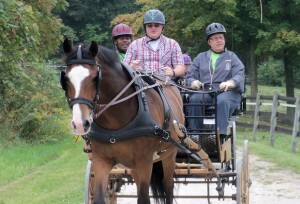 Ultimately, the horses have given them hope for the future. Since then the program has grown to partner also with Volunteers of America and Ohio Military Kids and now serves more than 200 veterans and their families. To view a video about our veterans program and for more information, click here.